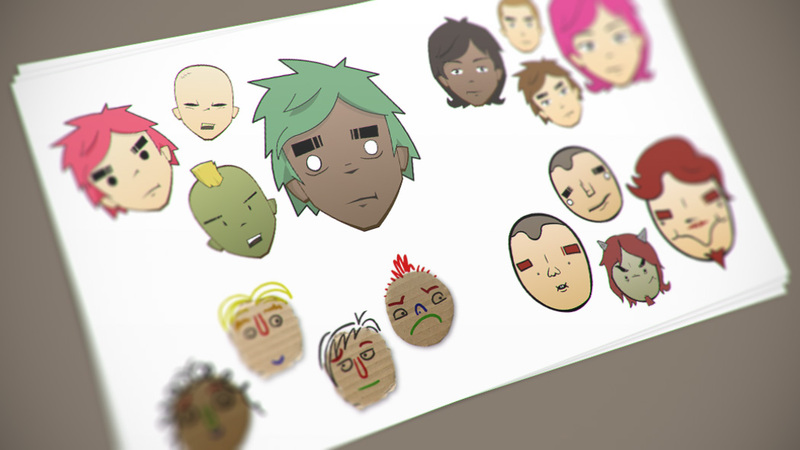 This case study focusses on the process of designing a new set of digital avatars, from initial brief to the completed range which are in use on Sumdog.com. Please read on to find out more about the project. 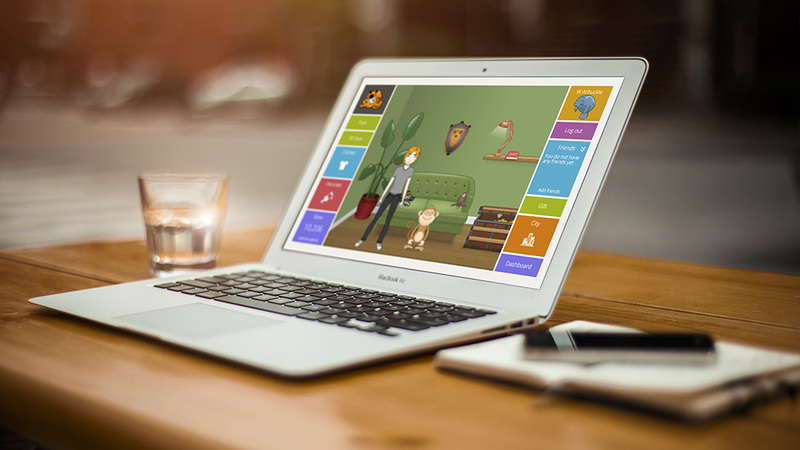 Sumdog develop free and subscription-based educational games to motivate students in maths, reading and writing. Schools sign up with the service which gives teachers an overview of student progress. Sumdog contracted me to create a series of digital avatars for users on their website. 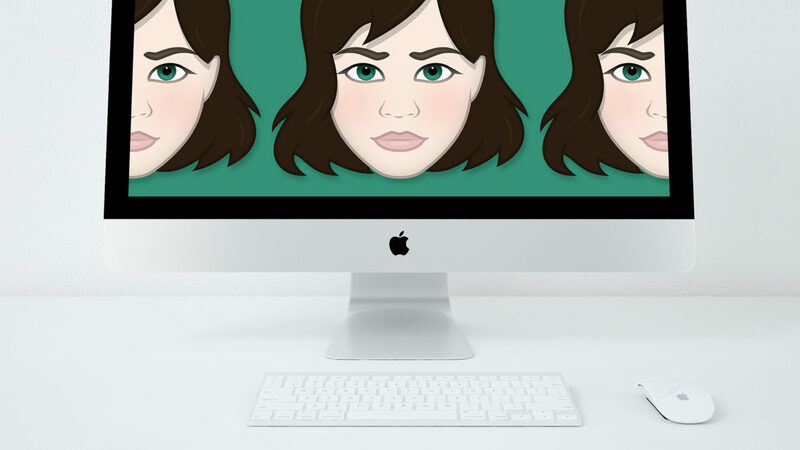 From a technical standpoint, the avatars needed to be fully customisable and scalable for use in different areas on the website. The visual style had to be accessible yet unique, with care taken with the simplicity of facial features. Various approaches were explored, ranging from cardboard circles with marker pen facial features to edgier designs that took inspiration from manga cartoons and the art of Jamie Hewlett’s Gorillaz. After experimenting with these ideas we settled on a style that was aesthetically pleasing and compatible with the technical specification of the games. Ultimately, the client veered towards a more ‘grown-up’ approach with slightly muted, more realistic colours and fewer cartoony elements. 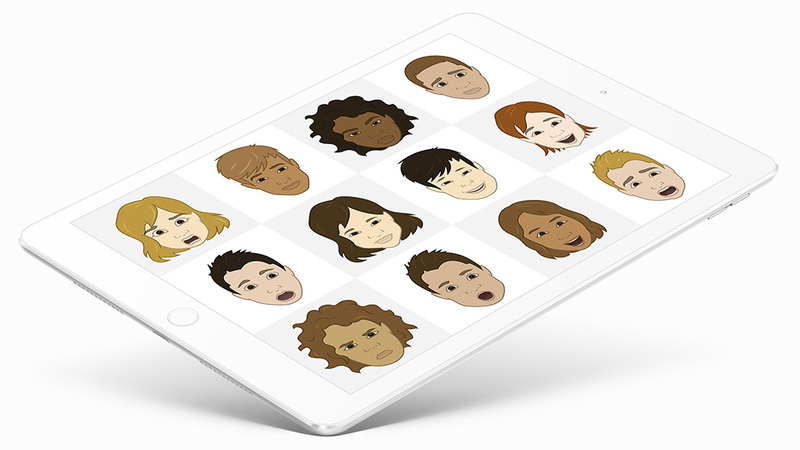 The avatar’s face has separate hair, skin colour and facial features which the user can combine however they like. I also designed a separate avatar body with hundreds of clothing options which in combination with the head, can be used in the player’s own digital house and within the educational games.